I have a 40 gallon breeder that can't seem to keep cories alive. I've lost small batches of sterbai (5) and bronze (6), and now I'm afraid I'm going down the same road with pandas (started with 12, down to 10). 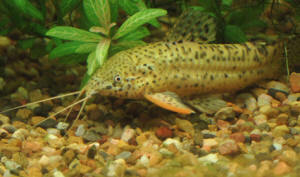 Other fish seem unaffected, and a common symptom appears to be air/gas in intestines. 40 gallon breeder, 36" x 18" footprint, black blasting sand substrate (well rinsed), temp was at 79-80 for the sterbai/bronze, close to 76-77 for the pandas. I have a cascade 700 canister filter and 2 sponge filters. Livestock at this time includes the 10 pandas and 2 Apisto borellii (1-1.5"). Nothing else. Some hardy plants, a few driftwoods, and some IAL and oak leaves. Started the tank in mid Sept, with half a dozen small pentazona barbs. Cycled tank with media from another filter. On Halloween, I added 5x 1" sterbai cories. The following Friday (2 days later), in the afternoon, 2 were floating upside down, then 2 more shortly after. Those 4 died within hours, 1 survived. and the intestines were full of air. Some food (not much), but intestines were full like those long balloons clowns make shapes from. No other symptoms. Granted, they're small fish, and seeing anything can be hard. (i.e. I don't believe the gas in intestines was a post-mortem symptom). Through all this, the pentazonas were fine. Ammo/nitrite were 0, nitrates were 5-10.
symptoms (well, except dying). Frustrating. And they had started off so well in my tank, foraging deep in the sand, very active. These did not float when they died. Through all this the pentazonas were fine. Again, parameters good. I rehomed the pentazonas to a new office tank, and the tank stayed empty for about a week. Then on Dec 4 I got a dozen 0.75-1" panda cories, added them, along with a M/F Apisto borellii. They seem to be great tank mates, same pace, feeding rate, temperament etc. but under 0.25 (I've been feeding liberally, though, so that might be it. I dosed with Prime, haven't re-checked yet), zero nitrites, nitrates under 20. I feed good quality food, and lots of variety. Thawed bloodworm, mysis shrimplets, bbs. Crushed Spirulina flake, regular community flake, Hikari mini wafers, Fluval bug bites. My tap water is moderately hard, so I have been mixing the water for this tank with RO/DI at about 3:2 (RO: tap). That's giving me dGH of 5-6 (100ppm), and dKH of ~4 (~75ppm). My pH remains around 7.5 (hard to tell, since it always appears to lie right between the high end of the normal pH test, and the low end of the high range pH test). I'm using a perpetual drip and overflow to keep new water running through tank, rate of about 1.5g new water per day. And I vac as necessary. Why do mid level fish appear to remain healthy and fine, while bottom dwelling cories are dying? Are there any diseases/infections/conditions that are known to cause gas in the intestines as a primary symptom, i.e. not post-mortem? Any suggested interventions? Shelled peas? Epsom salt in tank, or as bath? So fast with the reply, thank you!! You've focused in on a few things I did not think are important, and aren't placing much weight on things I've been clinging to. Which is why I have asked the experts! The driftwood: 1 large piece, collected from a local headwater stream (no ag runoff or pollutants). and work from there, so I'll pull it out tonight. There are also a couple of smaller pieces I got from a local aquascaper, vine wood he imported by the crate, and it's used in many tanks by many local keepers. Carbon: Great suggestion, I missed that. It will go in tonight. without any store water. But deaths have all occurred after at least 2 days, and now upwards of a week - is that consistent with insufficient acclimation time? I've never found an answer to this. Store water: not tested, but I believe it has similar pH and hardness to this tank. Regionally, our water is quite similar from one municipality to another (medium hard, well buffered). It's definitely not polar opposites. Dormant tank: during the week the tank was dormant (before I added the 12 pandas and 2 Apistos), I kept feeding the tank with crushed flake (using the same amount as I had been feeding when it had fish). Adding too many fish: In my own defence, the tank/filter was still cycled when I added the fish, the cories and Apistos are all very small, and for the bioload, it's a big tank. I haven't been testing daily, but none of the fish (past or current) showed any signs of irritation/stress like gasping, flashing, hiding, pumping gills, and so on. 2 weeks between vacs, and "water changes" are constant with the drip through system. Prime for low ammonia reading: I know this is a 24-48hr band aid, and if the source of ammonia, or lack of processing ability aren't addressed, the problem persists. Rate of feeding: I'm generally conservative when feeding my tanks, but I have a soft spot (fear spot) for new fish. Cories are such casual feeders, I'm fearful that the 30 second or 2 minute rule won't give enough food. smaller-than-medium thumb-and-one-finger pinch is all. For frozen foods, less than half a cube of bloodworm, or maybe a quarter of a portion of mysis. At any rate, I'll fast the tank for 48hrs, dial back the feeding after that, and monitor ammonia carefully. Thanks again, Sara. Driftwood out. Carbon in. No food. I'll keep an eye on things. Also of note: Like many fish folk, I rarely test except when something is wrong (that I can see or sense). But with this tank, I've been keeping on top of parameters a bit more diligently, given the problems I've had. I mentioned in a prior email that I am seeing trace ammonia. I've had a chance to check other tanks and tap water, and I'm getting a trace reading across the board. Best match for colors is between <0.25ppm for tap and other tanks, and >0.25ppm for the Cory tank. Even my RO/DI is testing at >0ppm. So I'll look into an ammonia removing media for the filter, and continue to use Prime and monitor. I have a stocking question for you. I have a badly stocked 3ft (150litre) tank - I have 3 clown loaches, 4 angel fish, 6 rummy noses, 6 phantom glass fish, a Bristlenose Pleco and a black widow tetra. I'm looking to upgrade to a 6ft tank to remedy this. I'll move the loaches and at least 2 of the angels to the 6ft. I came across an amazing deal on a 2nd hand 6ft tank (1830x460x600) on eBay with all the bells and whistles - but the issue is that it comes with fish and I was hoping for an unstocked tank so I could have free choice. I asked for some clarification on the species in the tank. The owner doesn't know much about what type of fish they are so they sent me some photos and here's what I've worked out. I'm pretty ignorant about catfish, so I've attached the photo of that one. Would you guys be able to tell me what species that is? All the owner could tell me was that it was a catfish and a "monster" - apparently they have been growing very quickly. I'm okay with some of the species (the loaches are great because I'd wanted to get at least two more to rectify the social issues going on with my three), iffy on others. I wanted to check with you guys - are there any serious alarm bells here? I get the impression that this tank may be fully stocked as is as most of these species get rather large -- is there any room for the new additions?